An alternative to traditional roofing is using a metal roofing system. Although the initial investment is higher compared to a traditional roofing system, metal systems have been shown to last 2-3 times as long compared to those traditional systems which typically last anywhere from 10 to 20 years. Another benefit to metal roofing systems is the flexibility on colors and designs. Metal roofing systems can come in the form of standing seam, flat seam or can be made to look like asphalt shingles, tiles or cedar shakes. Although metal roofing systems can come in the form of copper and stainless steel, the most popular choices are aluminum and steel. 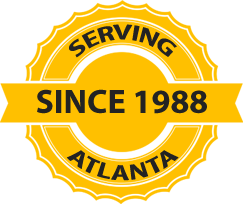 ​Since 1988 AtlantaRoofing.com has successfully satisfied the commercial roof repair and commercial roof replacement needs of the metro Atlanta area.